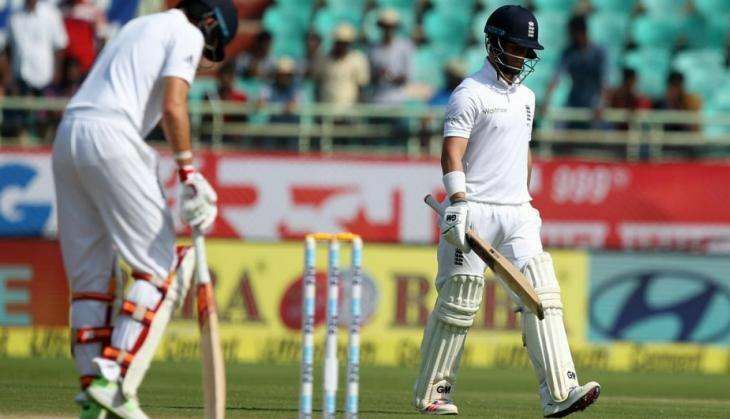 India beat England by a massive 246 runs during the 5th day of the ongoing Test series in Vishakapatnam on 21 November. With the win, the hosts lead the five-match Test series 1-0 as they bundled the opposition out for 158. The first Test was a bowlers show for both teams, but it was the Indian spin bowlers who bagged the win for India. Ravichandran Ashwin took three wickets with an economic rate of 1.73 while debutant Jayant Yadav took three wickets with an economic rate of 2.60. On the third day, England bowled out India for a mere 204 runs. Indian skipper Virat Kohli scored 81 runs - the highest - following which England needed 405 runs to win. It was after the dismissal of Alastair Cook, Ben Stokes and Joe Root, that the batting order collapsed in quick succession. In the first session of the game, England stood at 87 for two wickets, but the visitors stood at 142 for 7 near lunch. After the drinks break, Ben Stokes was bowled for a six by off-spinner Yadav. With the help of the second new ball, Shami got rid of Joe Root (25) and Adil Rashid (4) to leave India in total command. The hosts picked up quick three wickets after the lunch interval as Ashwin bowled Zafar Ansari for a duck. Yadav trapped Stuart Broad (5) and James Anderson (0) leg before wicket in successive deliveries. Indian captain Virat Kohli was named the man of the match after scoring 167 and 81. Nokia smartphones to make a comeback in 2017!